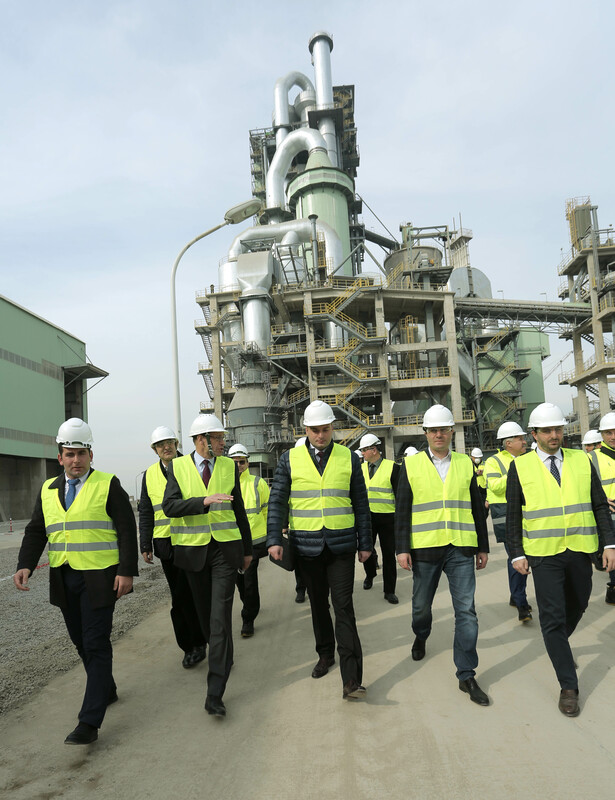 The Prime Minister of Georgia visited the modernized cement plant in Kaspi. According to the Head of Government, the plant is yet another message from international investors confirming that doing business in Georgia is safe. The site, the Prime Minister pointed out, will significantly encourage Georgia's economy. "Kaspi has great cement manufacturing traditions, and I am happy that we are opening this modern line of production. 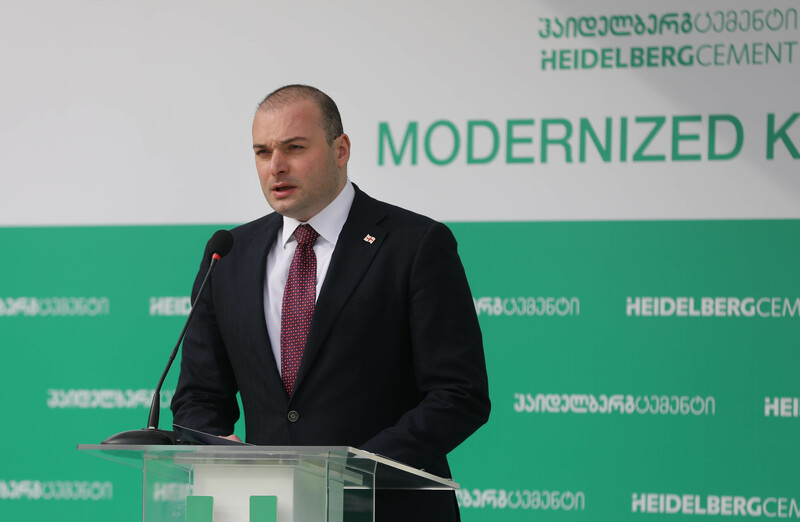 Cement manufacturing has always been a traditional industry in Georgia, and we need new technologies to further the sector's competitiveness," Mamuka Bakhtadze said. Heidelberg has carried out the full modernization of the Kaspi Cement Plant to open a new clinker production line. Preparatory work for the plant's modernization project launched in September 2016, with 100 million USD invested to this end. The project was implemented with support from the Georgian Co-Investment Fund and Honeywell Partners. The project involved building a dry processes manufacturing line that significantly cuts production costs and ensures a higher output. Under the project, a high-standard filtration system and special equipment for continuous emission control were installed to allow for online monitoring of the plant's dust and emission volumes. The event was attended by German Ambassador to Georgia Hubert Knirsch, Heidelberg Group's Chairman of the Managing Board Dr. Bernd Scheifele, Head of Northern, Eastern Europe and Central Asia Group Area Dr. Albert Scheuer, HeidelbergCement Georgia's General Director Michael Hampel, the Georgian Co-Investment Fund's CEO Giorgi Bachiashvili, and Honeywell Partners' Director Irakli Rukhadze.